ISPS will be hosting office hours with Brandy Lagner, Senior Regulatory Analyst for the Yale Human Subjects Committee (Social, Behavioral and Educational IRB). She will be available every other Wednesday during the Fall 2018 semester beginning October 17. Her scheduled office hours are from 10:30-12:00 noon in ISPS Room D130 on the following dates: October 17, October 31, November 14, November 28, and December 12. Brandy has worked at the Human Subjects Committee (HSC) for the past 4 years and was a Regulatory Analyst for the Human Investigation Committee (Biomed cmte) for 12 years before that. She is holding office hours at ISPS to answer IRB related questions for new and existing studies. Faculty, postdocs and graduate students at ISPS and CSAP are welcome to stop by anytime during Brandy’s scheduled office hours with questions about research projects they are working on or planning for the future. 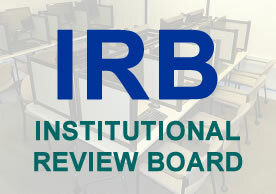 Link here to learn about IRES IRB, Yale University’s electronic submission and review system for human subjects research studies.